Available unfunded since 2014, Pharmac funded Zostavax in April 2018 for those aged 65-80. 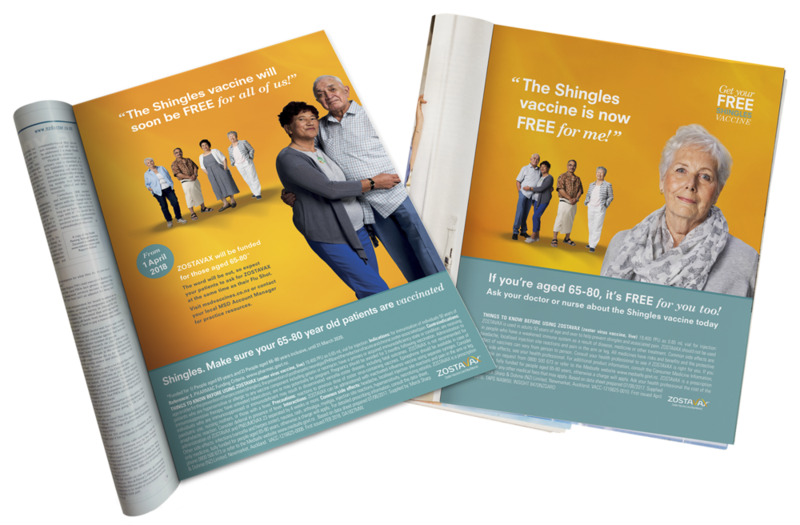 Our challenge was twofold: To deliver a campaign that could work across a number of targeted media (magazines, press, adshels and waiting rooms) as well as have the flexibility to reach all New Zealand’s communities – including the lower socio ones. The campaign we delivered was simple but engaging. Street cast talent was used to ensure we reflected the target audience real everyday kiwis - making each ad personal and relatable. Channels: Doctor materials, Adshells, Consumer magazine, NZ Doctor advertising, in surgery resources.